When climbing life’s mountains it is necessary to provide for yourself a firm and solid foundation so you can get through the peaks and valleys with as few bruises as possible. Tadasana (Mountain Pose) is one of the most foundational poses in yoga from which all the standing poses stem. Just like in life, in yoga, it is important for you to have a steady foundation for a safe and magnanimous practice. Stand on your mat with your feet hip distance apart, toes facing forward. Ground all four corners of your feet into the mat (base of the big toe, inside of the heel, base of the pinky toe, outside of the heel). Spread your toes. Feel the energetic lift of your arches reaching all the way to your groin and continuing through the crown of your head. Firm your thighs by lifting your knee caps (not locking them). Draw your thighs back feeling your sit bones spread (place a block between your thighs and draw it back). Feel your tailbone reaching towards the ground without flattening your lower lumbar region (as you draw your tailbone down, you’ll feel the block move slightly forward). Drop the tops of your shoulders away from your ears. Draw the shoulder blades down your back and then kiss the tips of the shoulder blades together. As your shoulder blades spread across your back you should feel a nice opening of your chest and collar bones. Be careful not to push your ribs out. Think about your sternum (the bone that connects the ribcage) as a sword in its sheath. A sword does not bow, but comes straight out of the sheath. This will help you lift and expand your chest, without pushing those ribs forward. Move the base of your skull back so that your ears come in line with your shoulders. Keep your chin parallel to the ground. Allow your arms to dangle at your side. 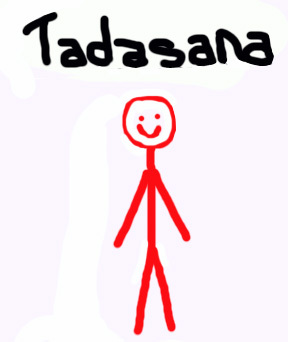 Welcome to Tadasana. Come back next week as we tackle Vrksasana (Tree Pose). Check out Yoga Journal for additional information about Mountain Pose. My name is Shawnee. I am a Yoga Teacher. And I use props. I don’t just use props in my classes. I use props in my own practice too. Props are wonderful! I love blocks, straps, chairs, walls, bolsters, sandbags… if it has the potential to be a prop, I’ll use it! 1.) Because a student is less flexible. 2.) I dunno, because the teacher said so? 4.) Because props are fun. 5.) To experience the pose. Take Tkonasana (Triangle) as an example. Time and time again, I tell students to use a block behind the outside of their front ankle, dropping their hand onto the block. Why? Because I said so? Well, yes, but also because I know when my student doesn’t use the block, the head of their humerous (the top of the upper arm bone) will drift towards the ground, making their heart center collapse, and their ribs round up towards the ceiling. Not very often do I see a student who is totally open in this pose. That’s why I tell students to use the block. Not just to avoid injury, or because the student has tight shoulders, but so the student can experience the pose — so the student can experience an open heart and a lengthening spine. Recently in my own practice I used a block in Mermaid Pose and a strap in King Dancer Pose. The block took pressure off my achy knees so I could more gracefully come into a backbend and reach my foot towards my head. 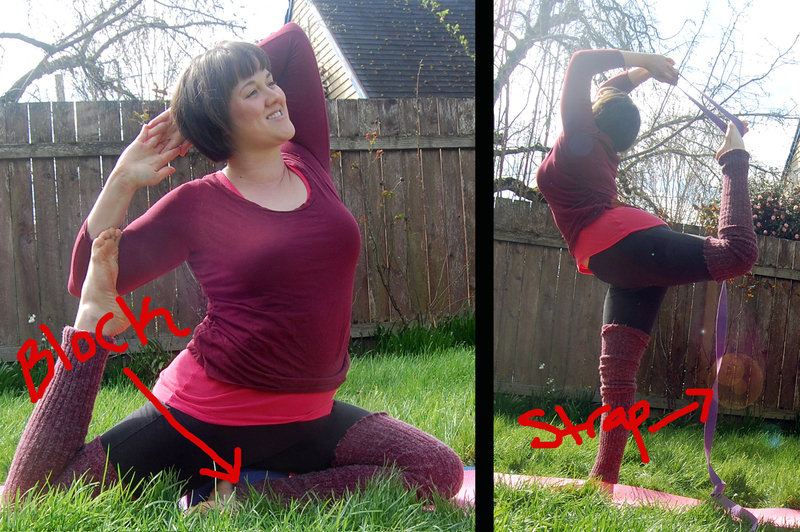 In King Dancer Pose, the strap helped me bring my arms over head. The props became an extension of myself. The block became my sitting bones and the strap became my arms. I could not experience these poses otherwise. And as your teacher places a block behind your front ankle in Triangle, open your heart with grace and extend your loving energy through your block, allowing it become an extension of self. 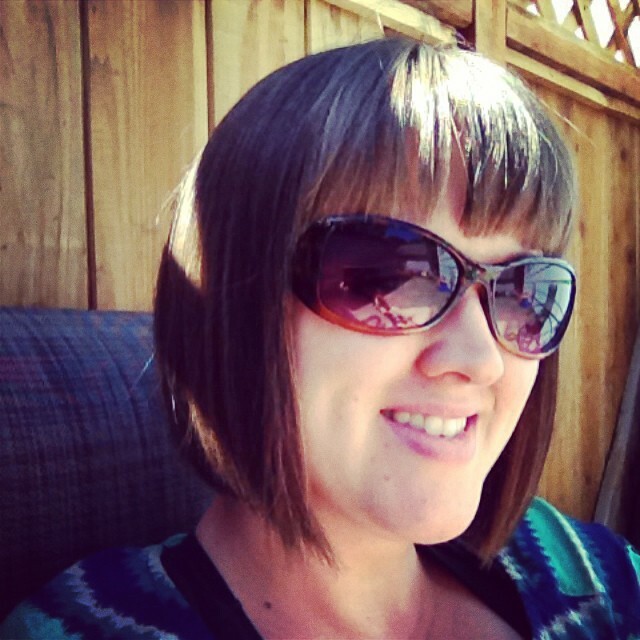 I'm Shawnee Randolph, Registered Yoga Teacher in beautiful Longview-Kelso. I truly believe yoga is for everyone! My goal is to make yoga accessible and inclusive for people of all body-types, abilities and backgrounds. Let me help you discover your own unique expression of yoga, focusing on body-love and all the things you can do.